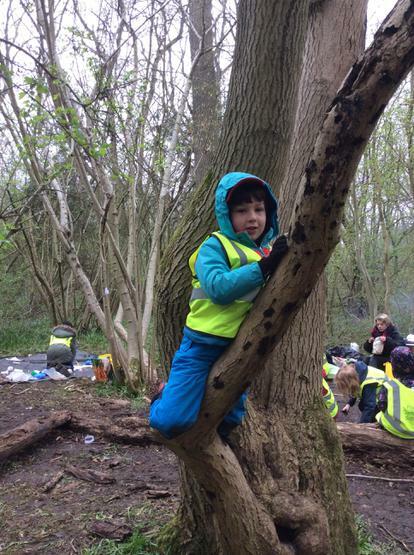 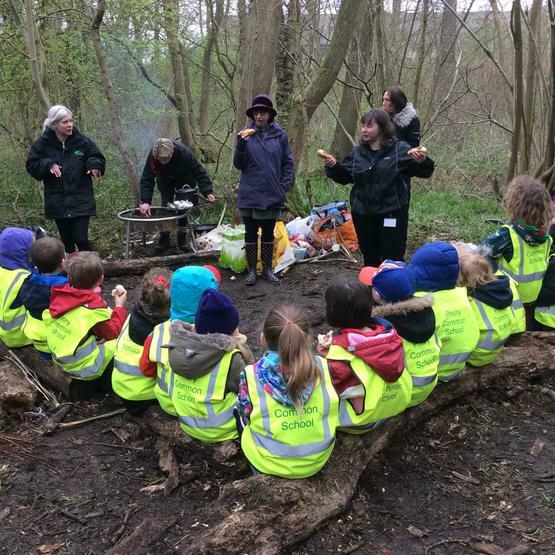 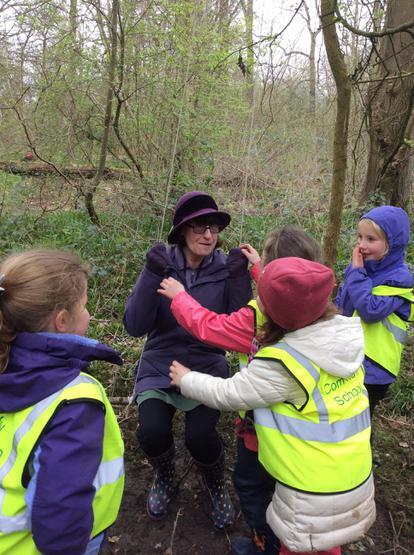 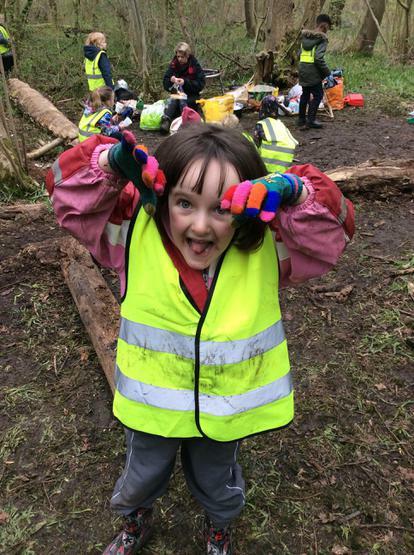 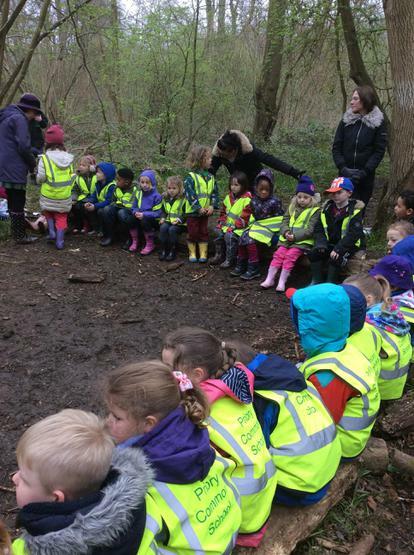 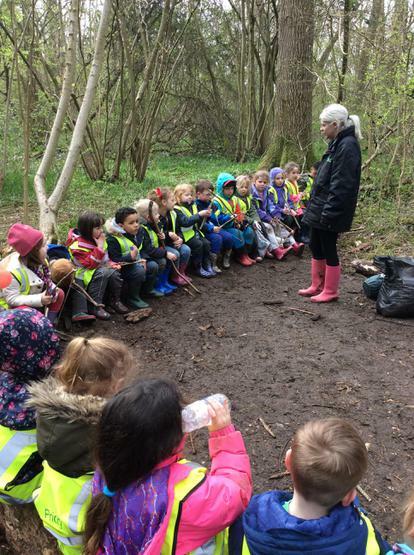 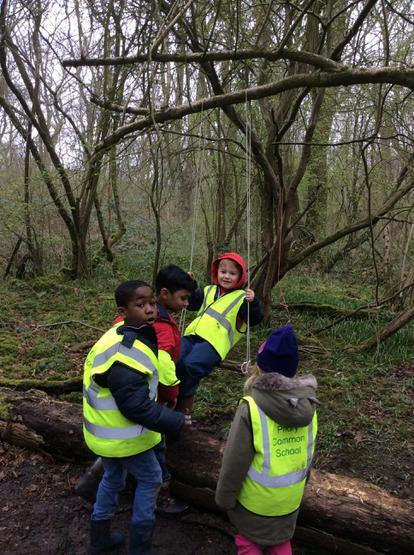 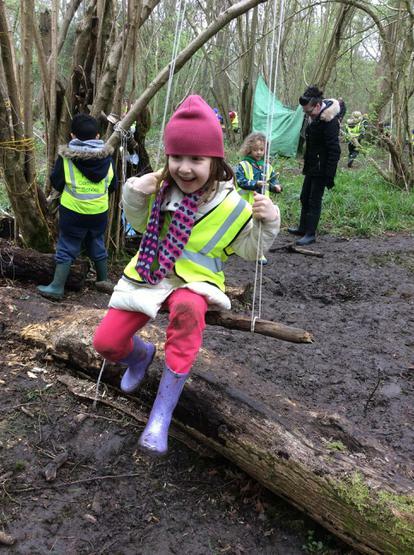 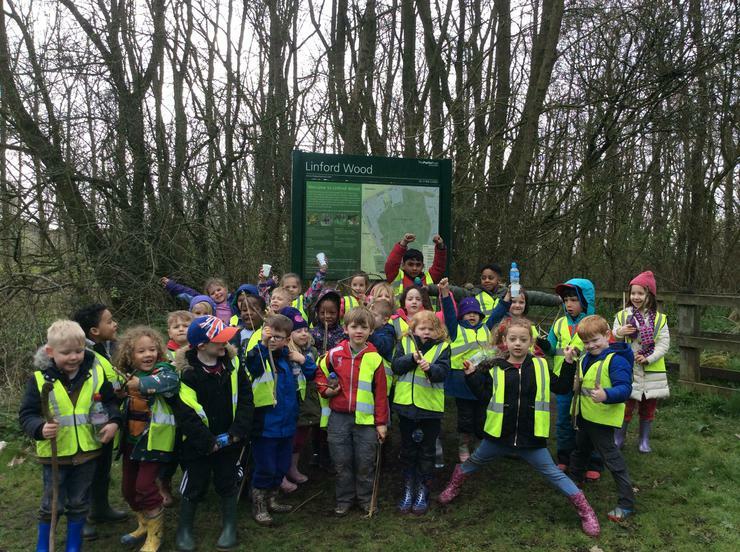 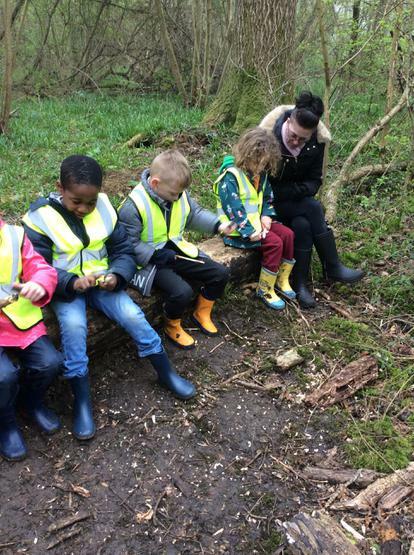 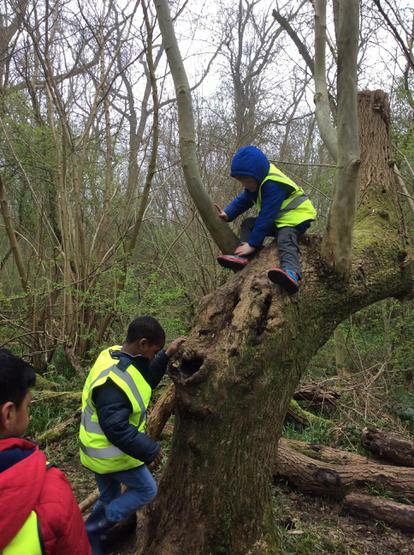 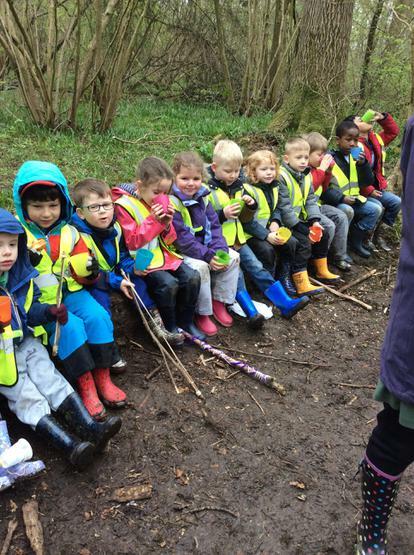 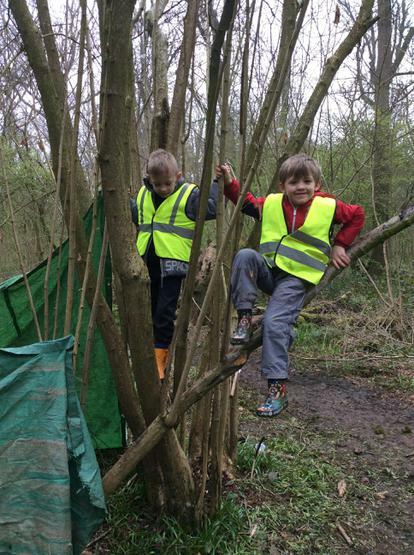 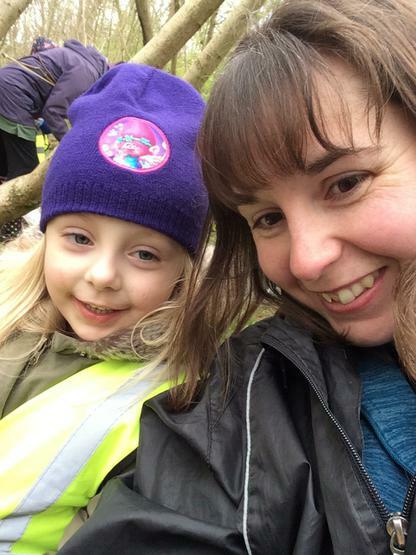 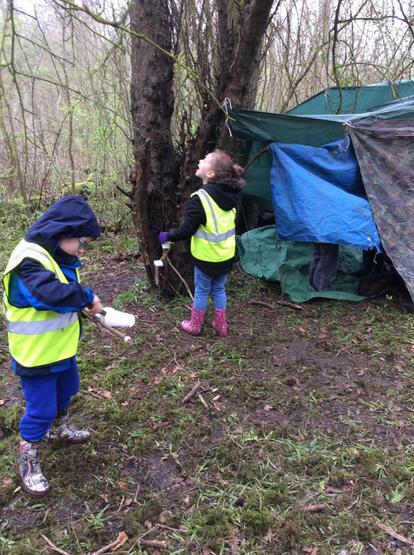 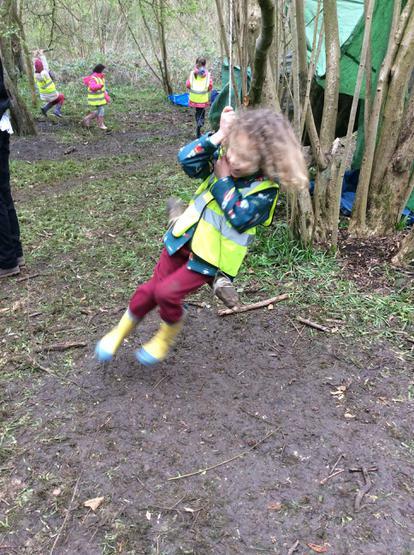 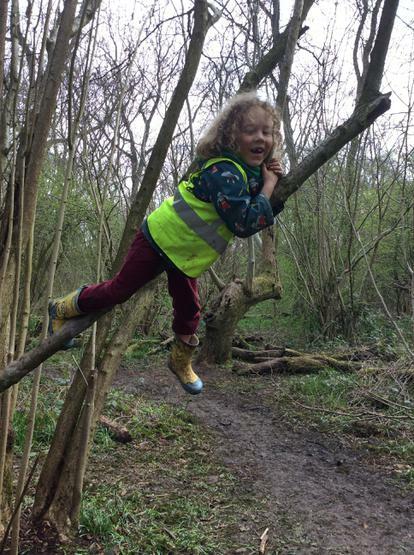 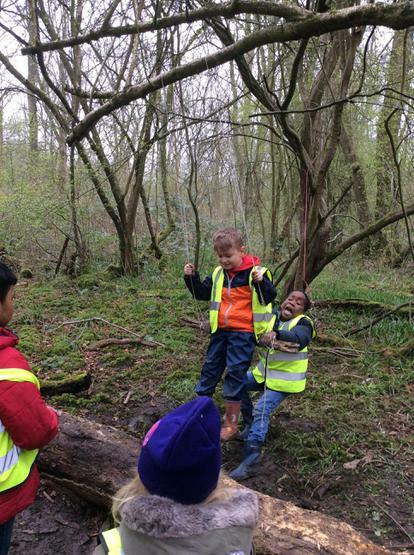 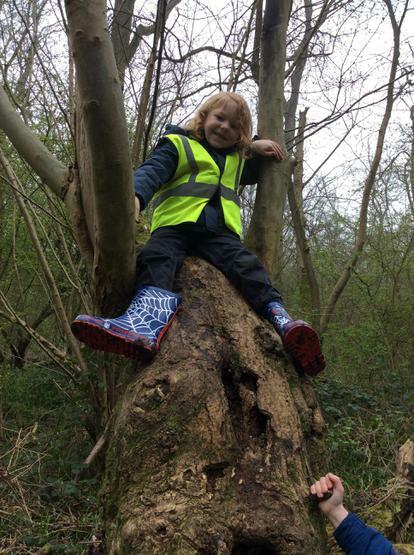 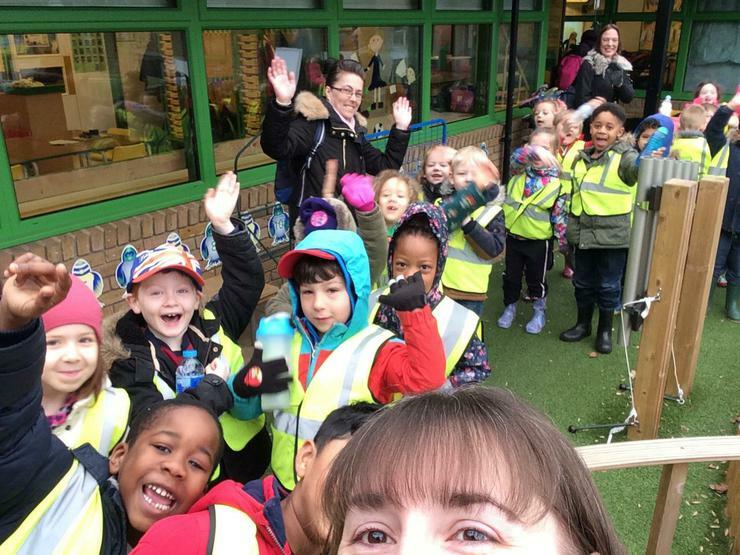 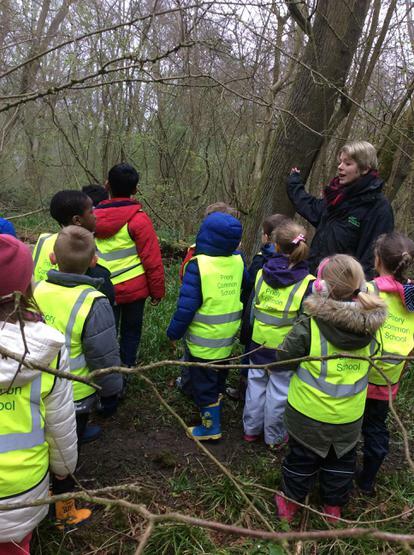 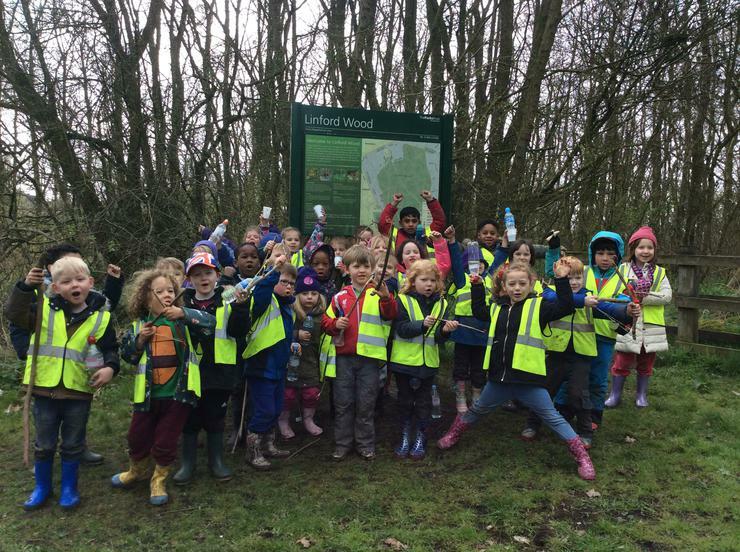 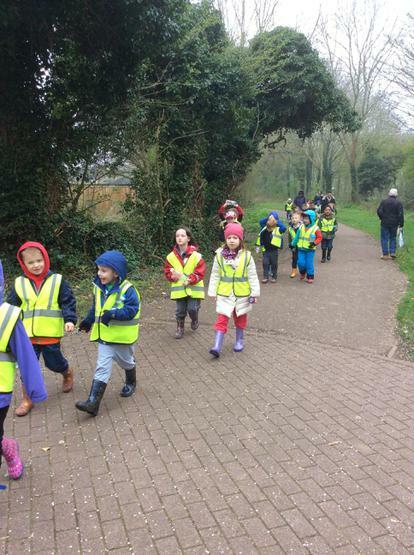 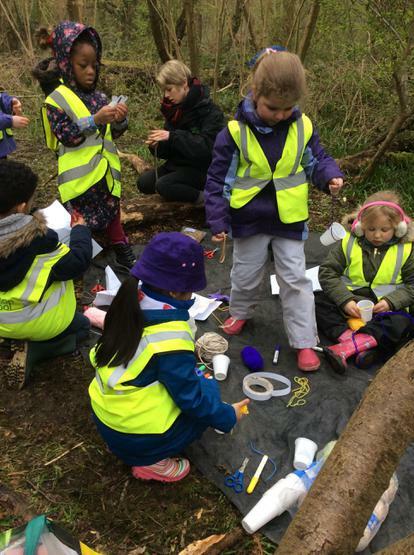 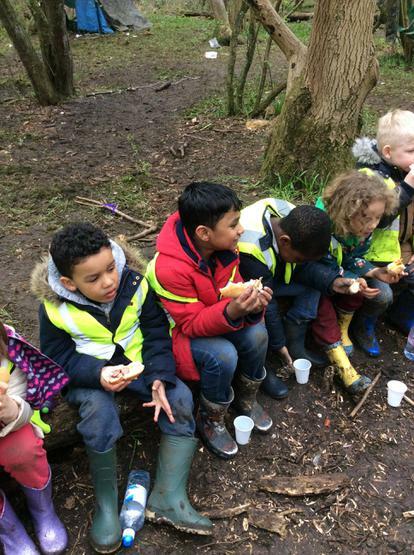 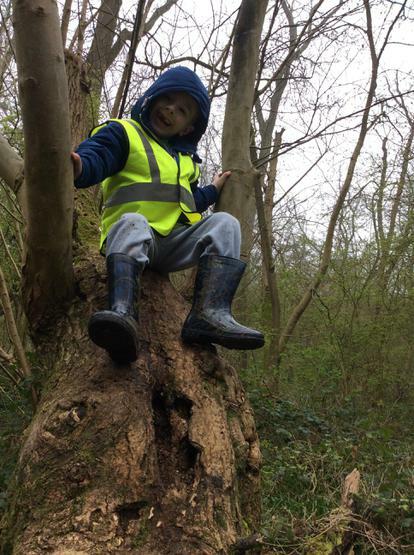 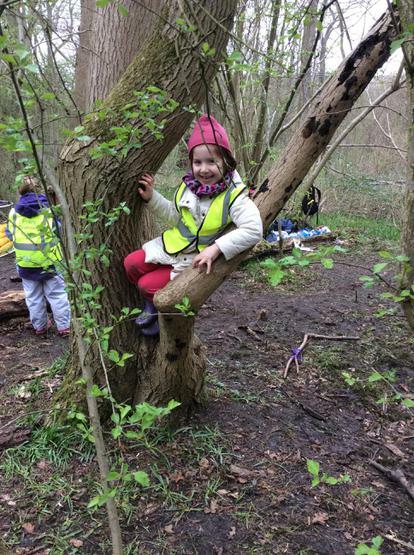 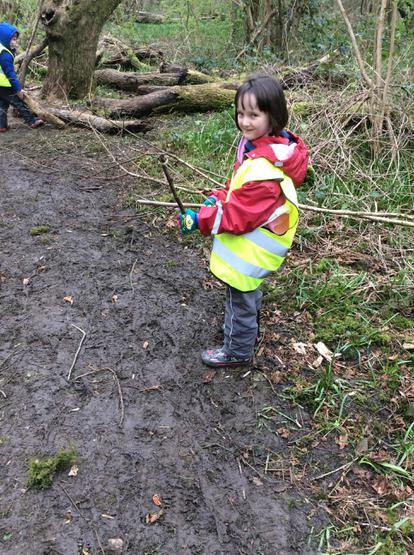 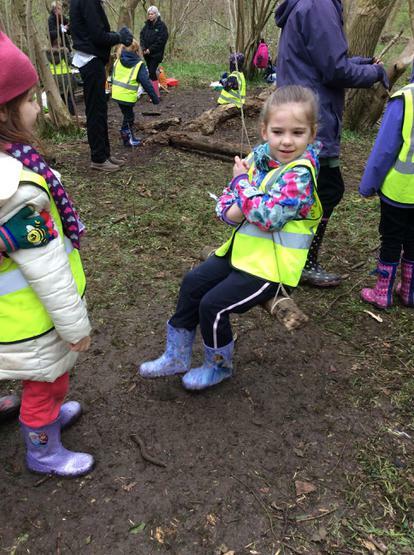 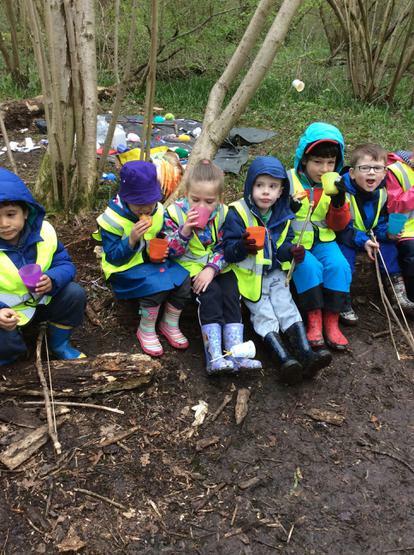 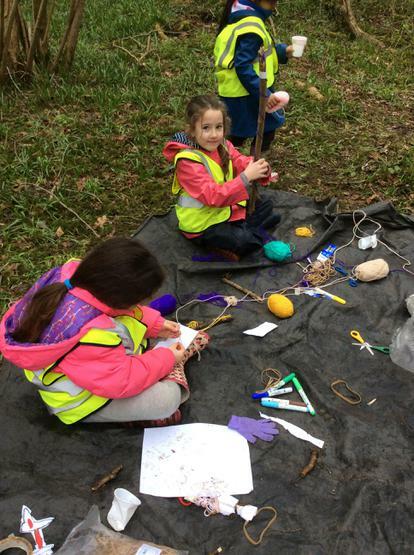 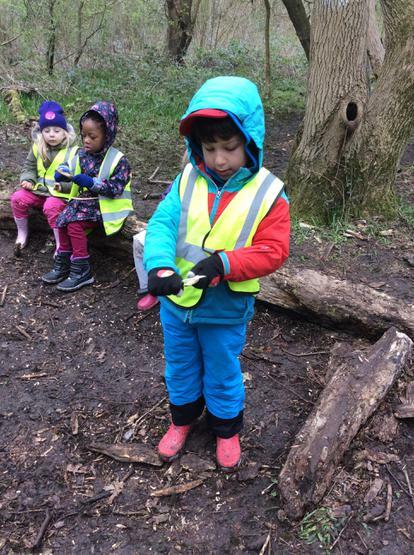 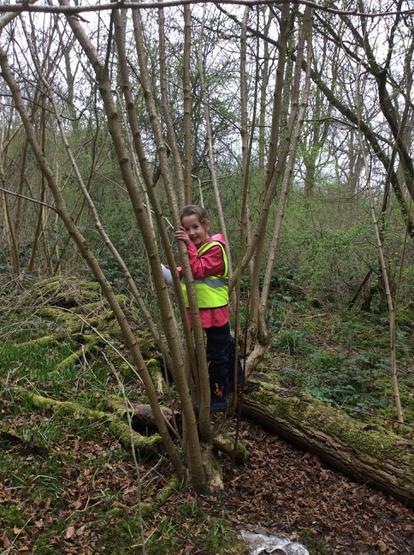 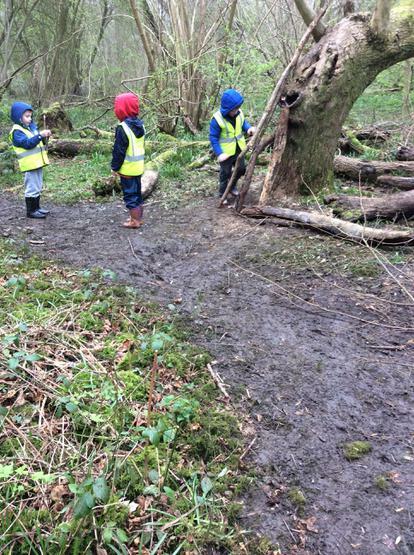 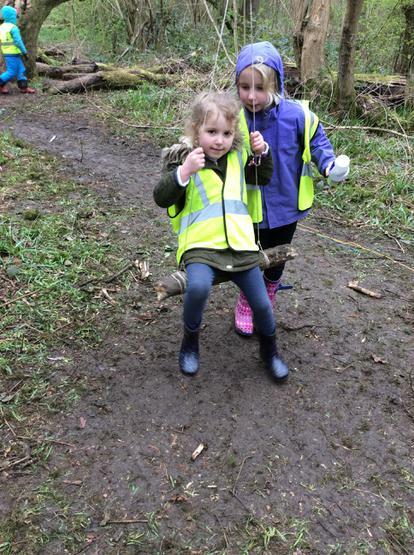 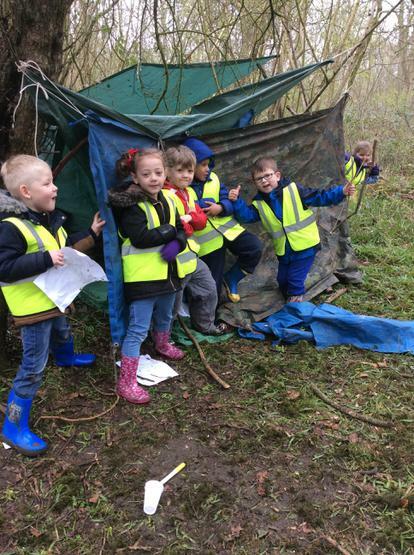 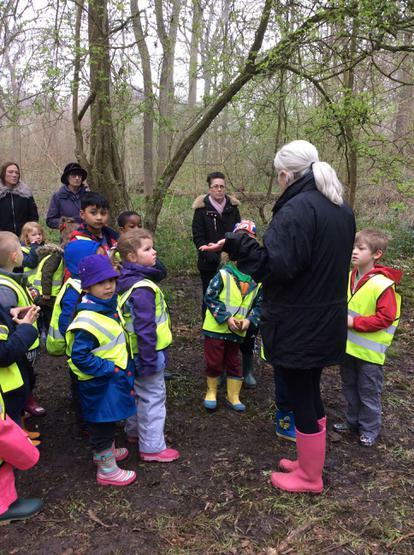 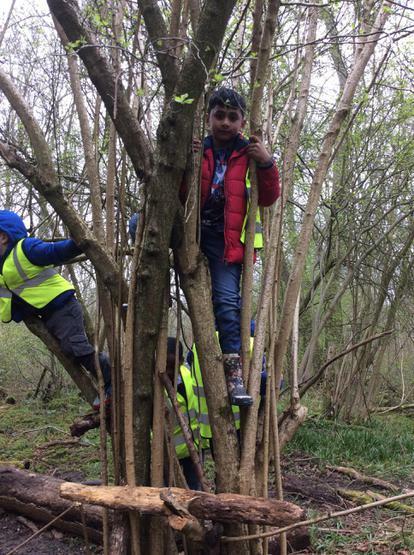 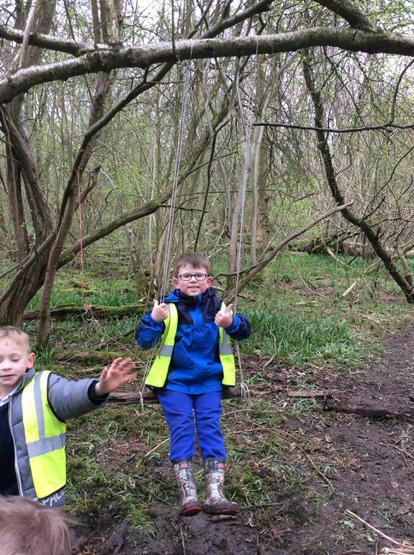 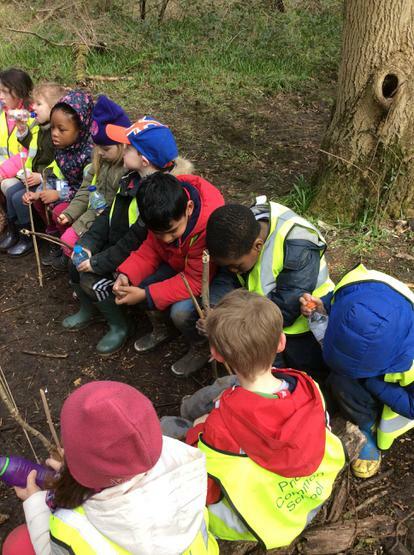 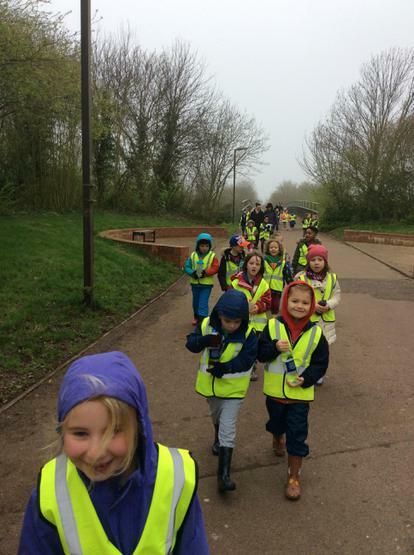 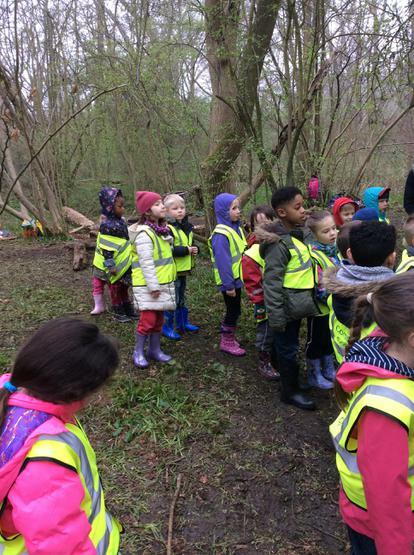 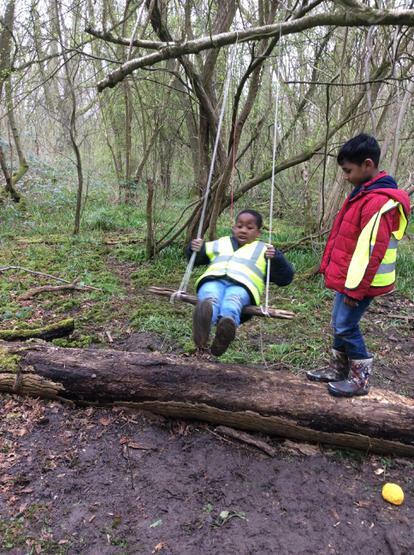 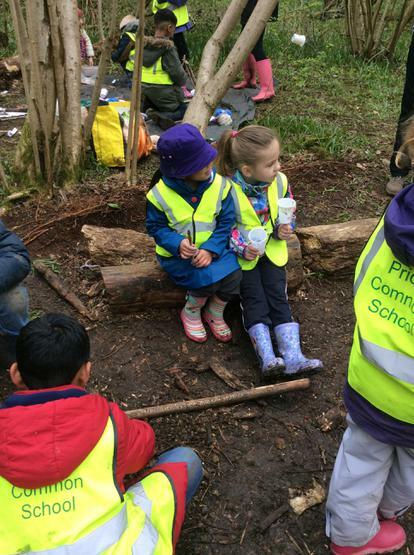 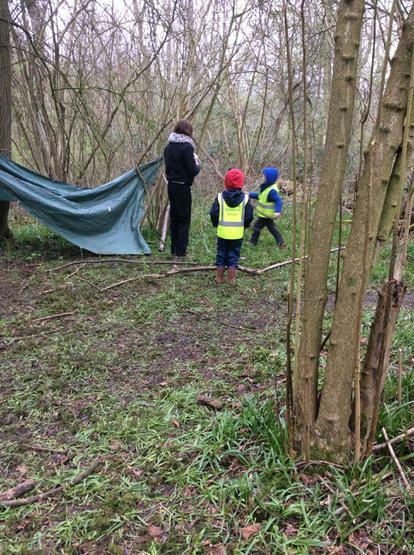 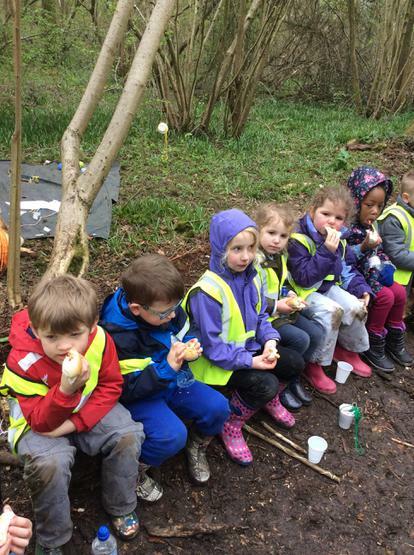 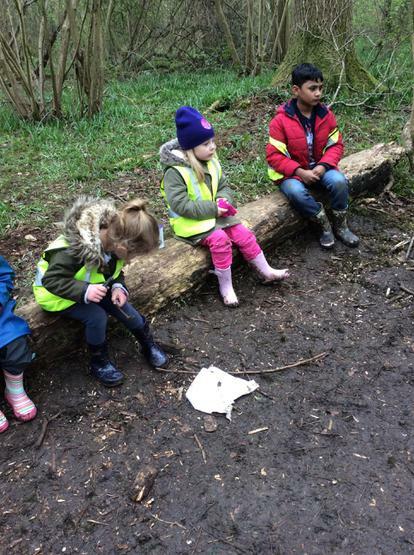 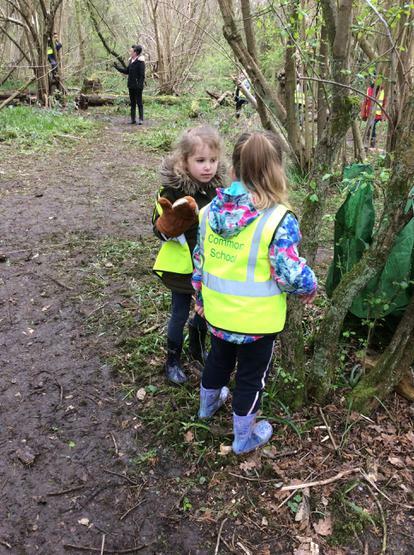 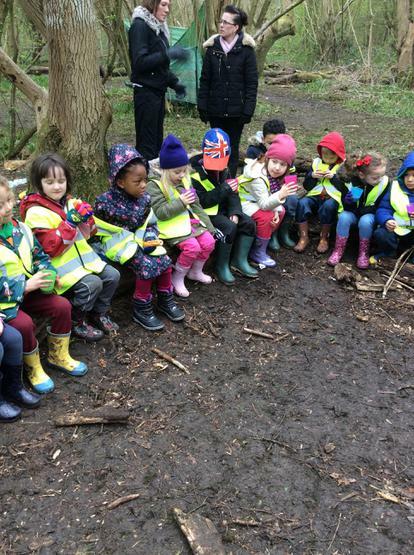 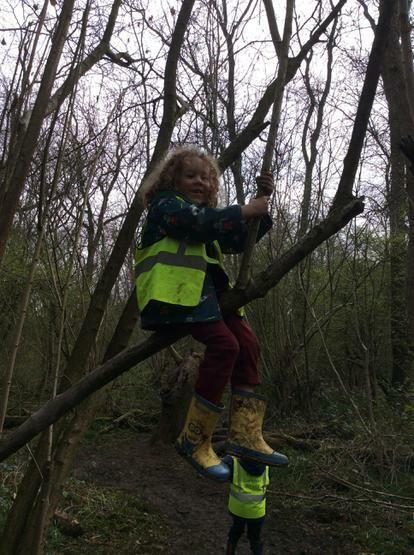 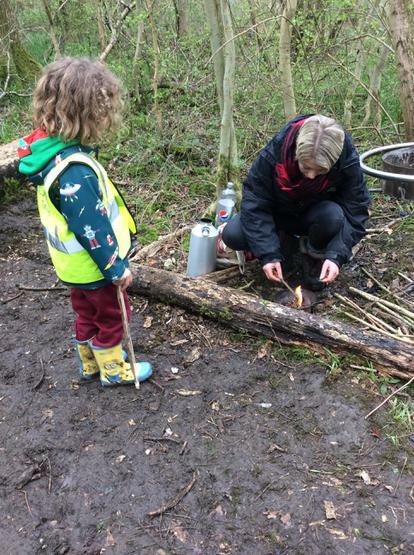 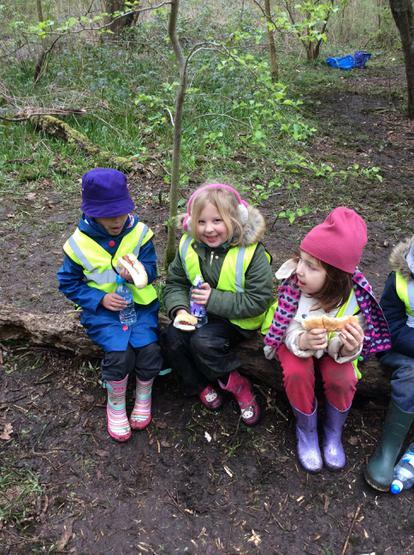 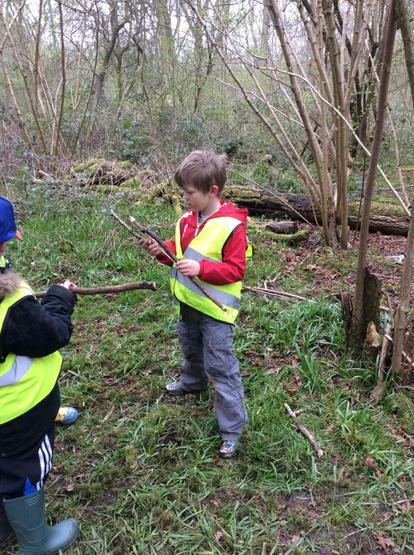 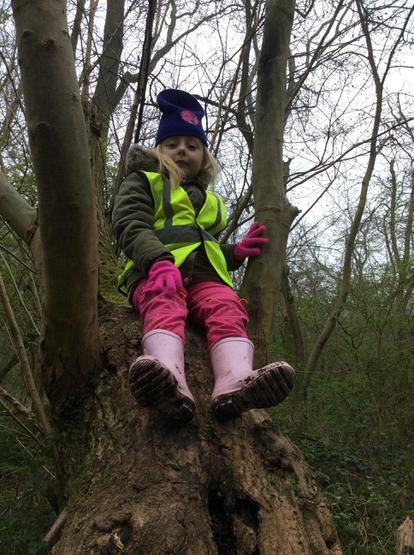 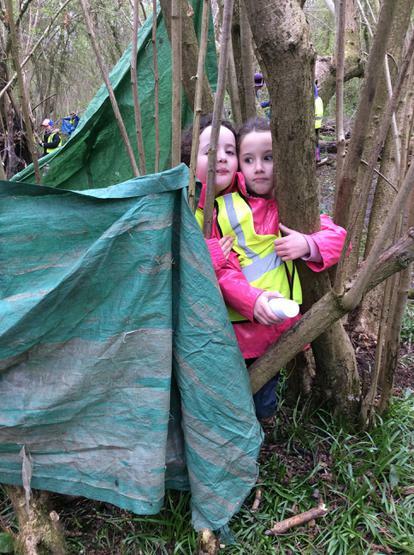 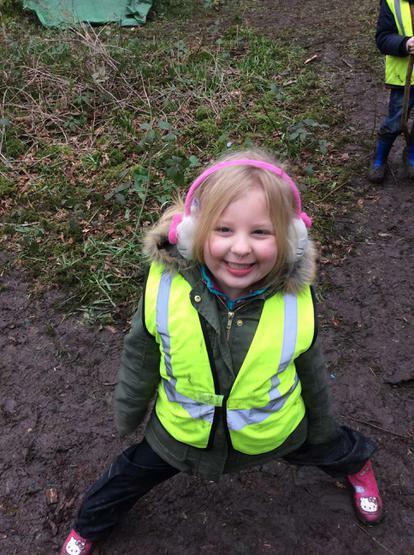 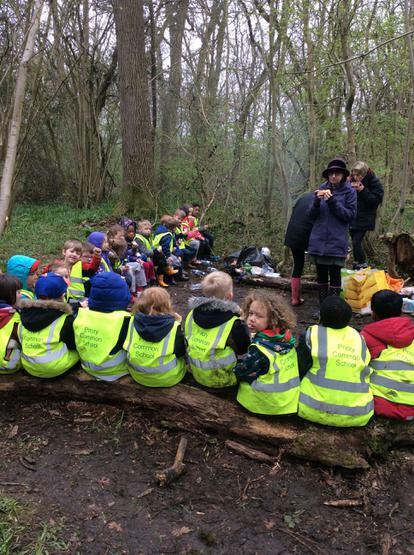 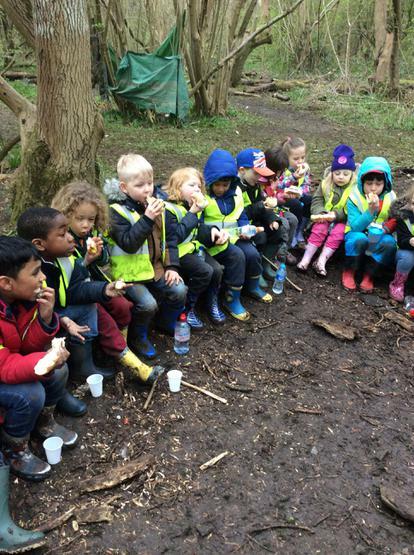 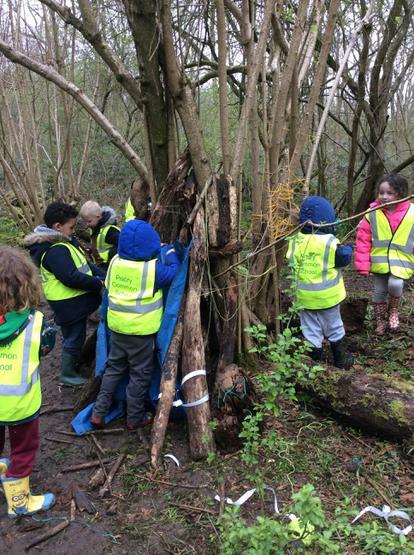 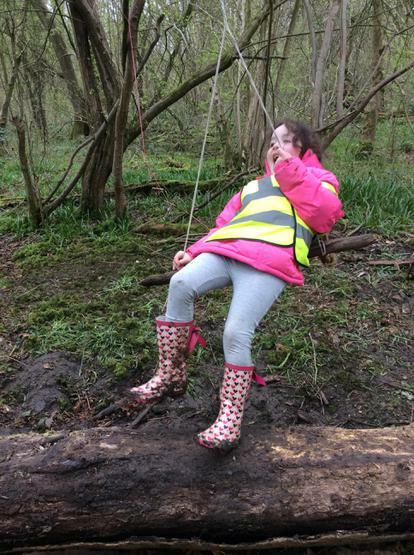 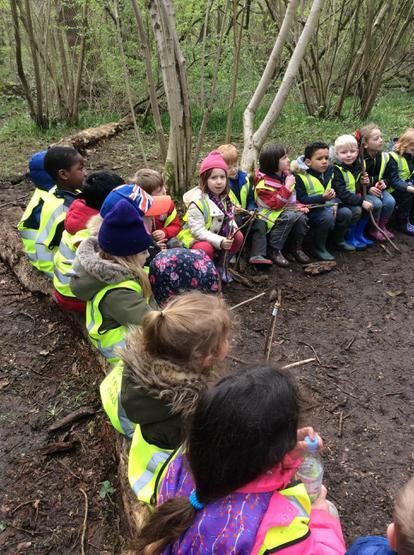 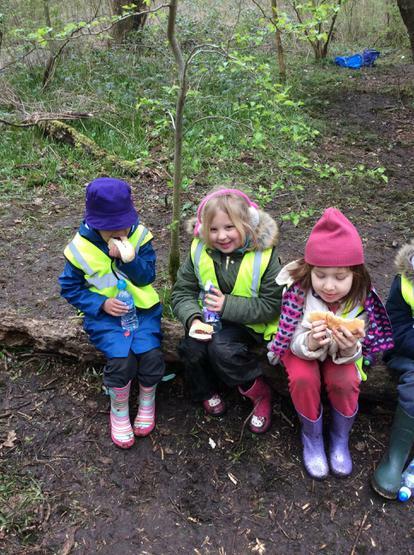 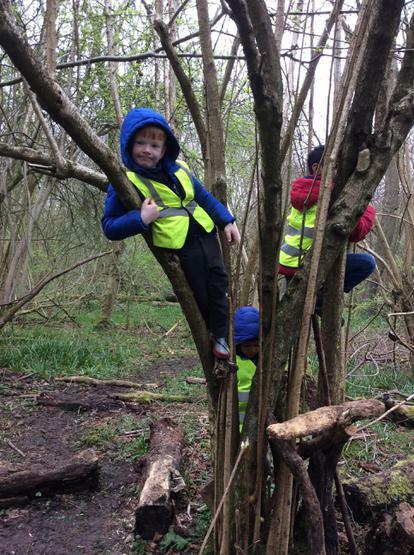 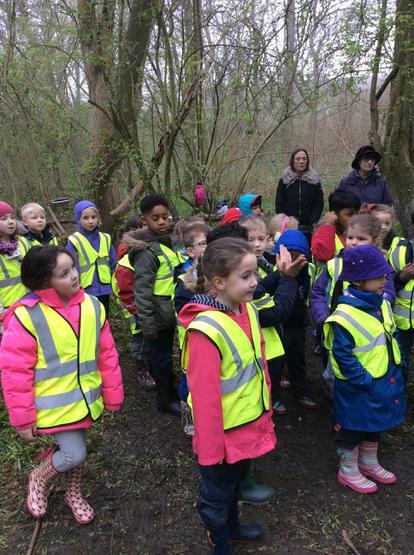 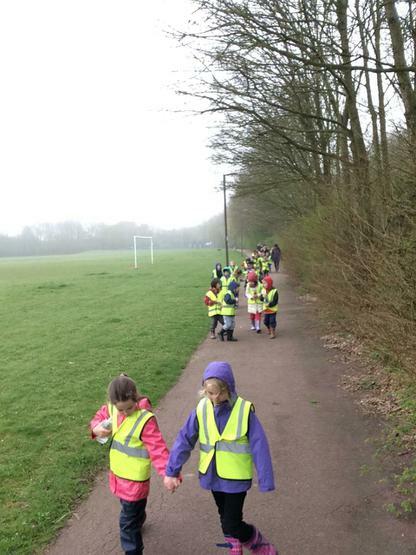 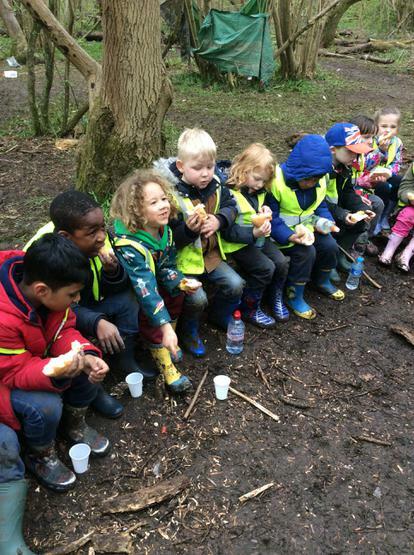 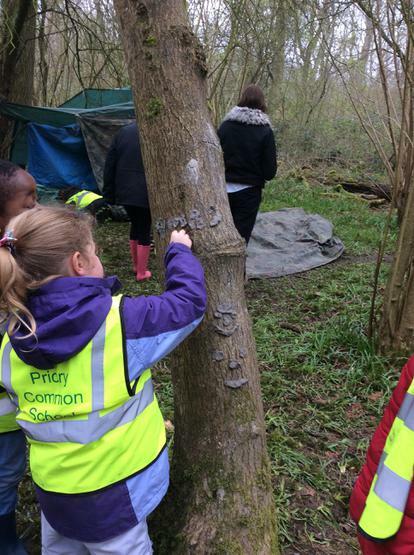 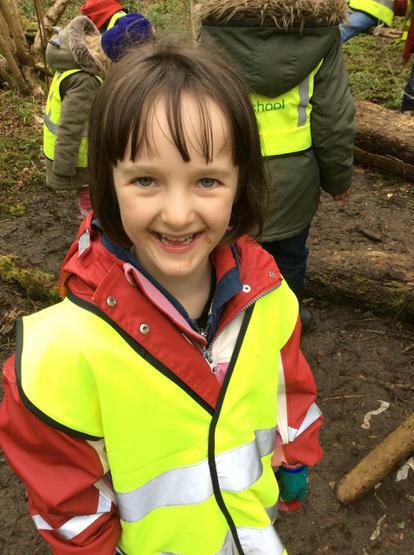 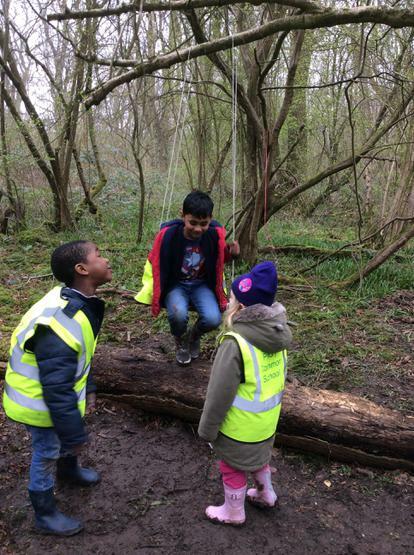 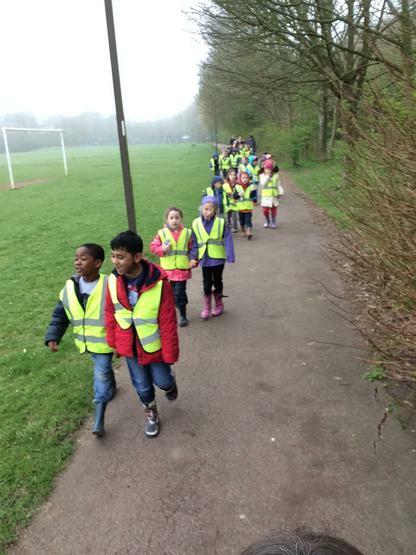 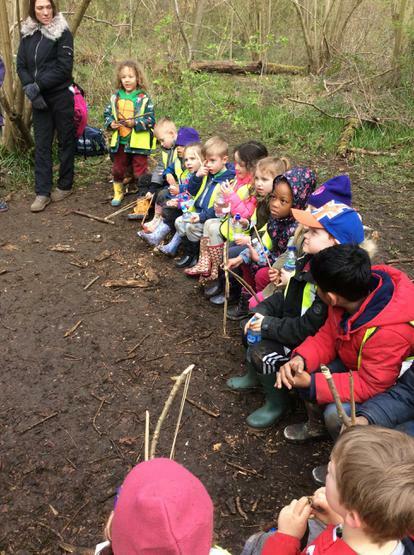 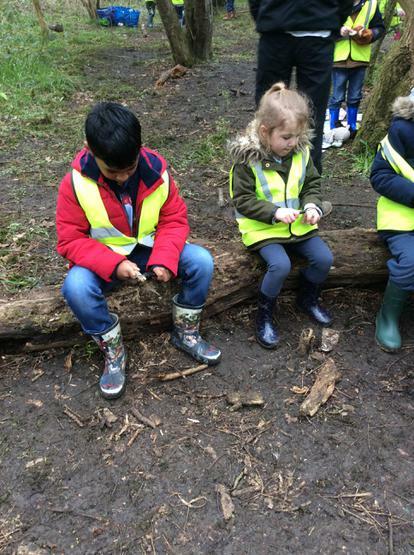 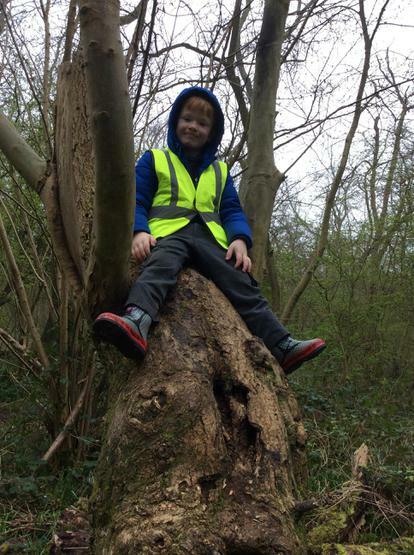 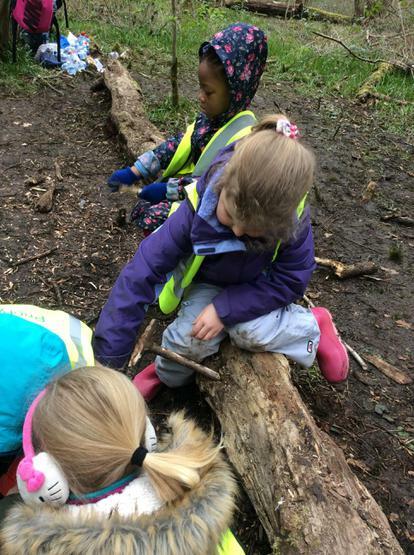 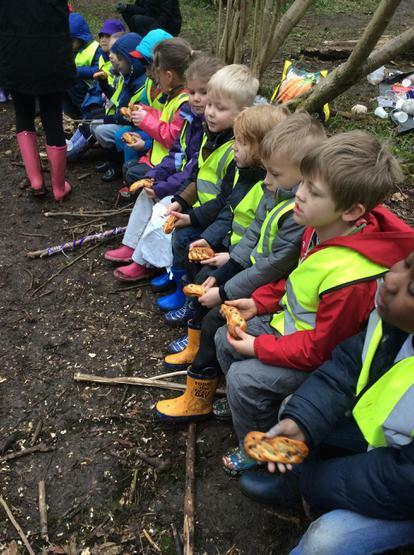 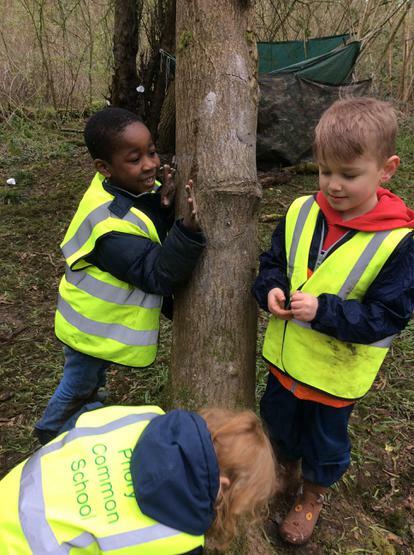 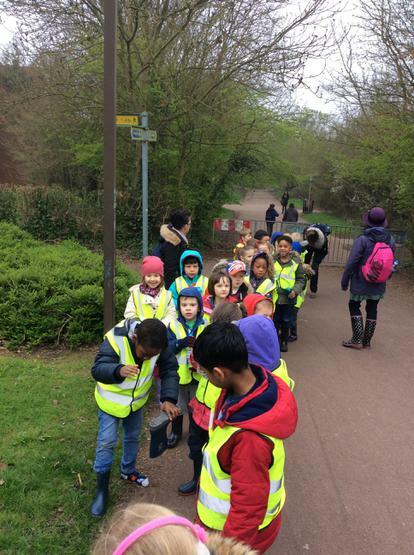 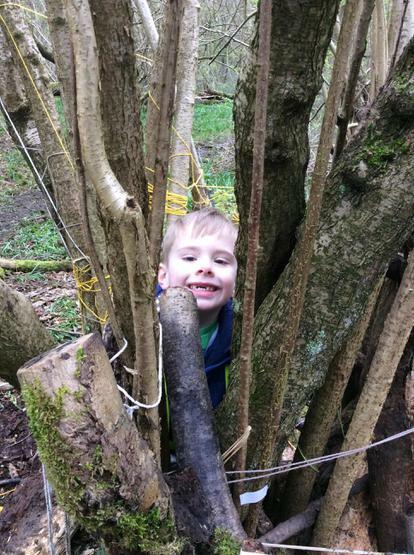 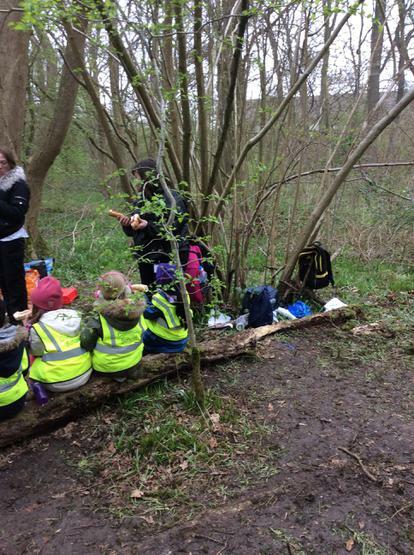 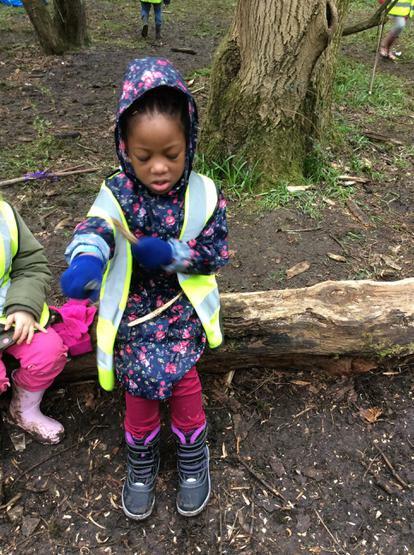 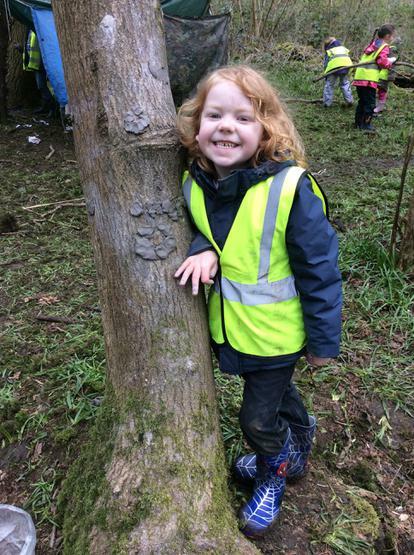 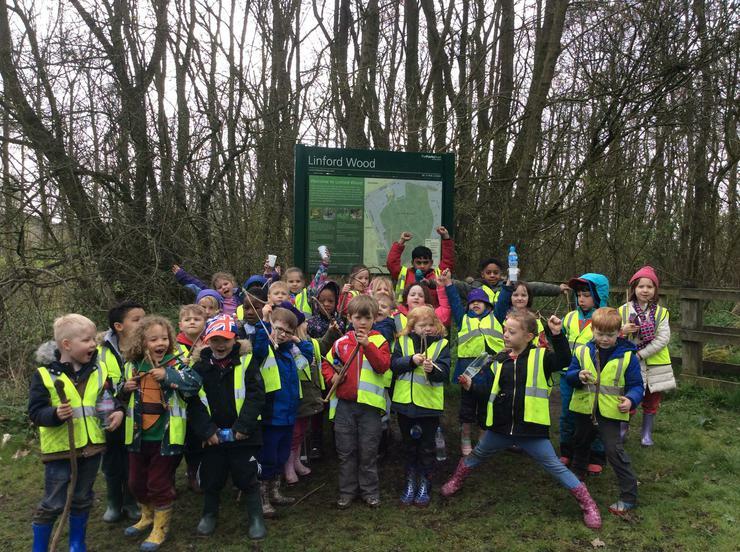 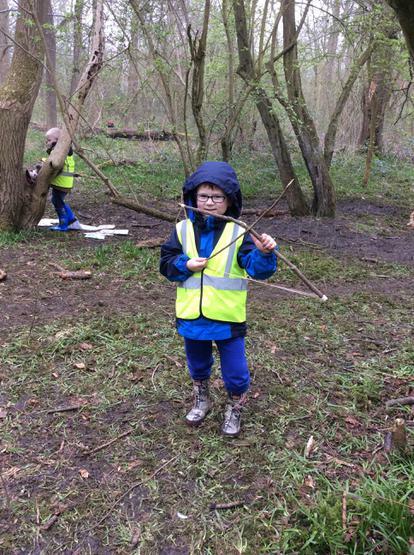 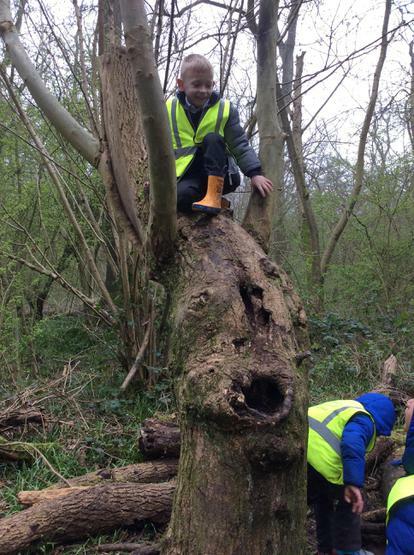 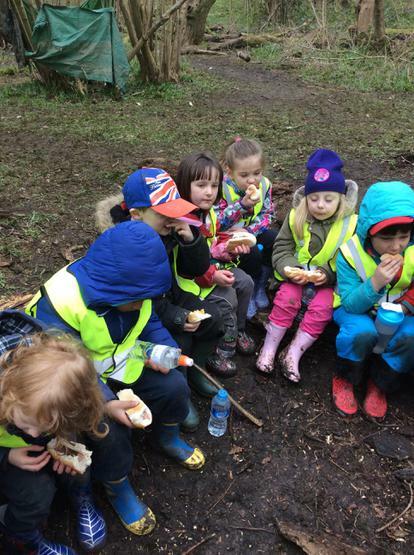 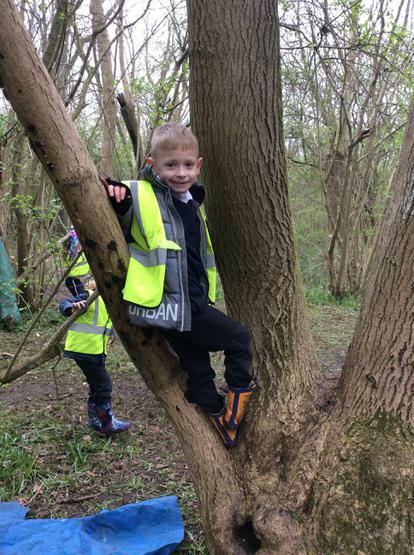 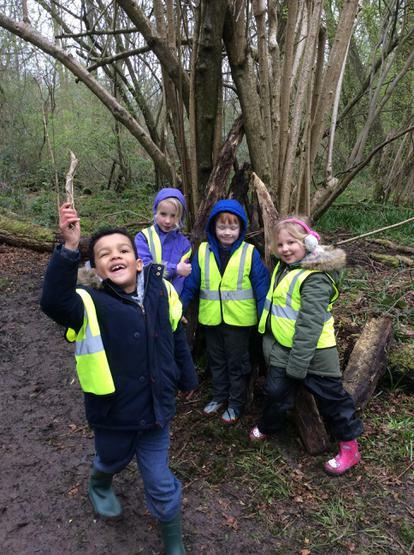 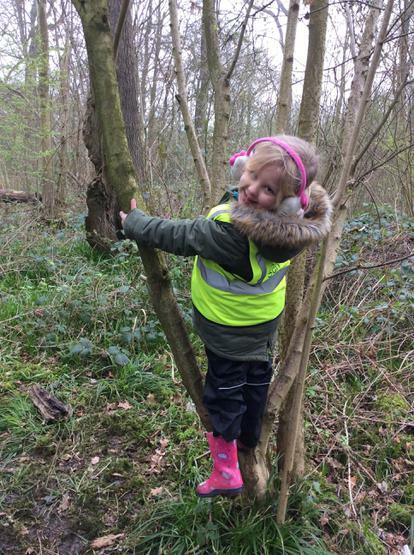 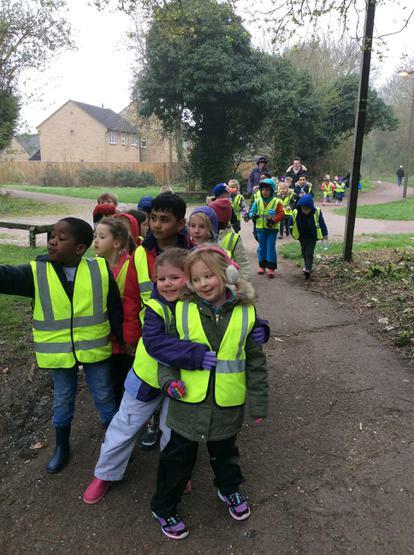 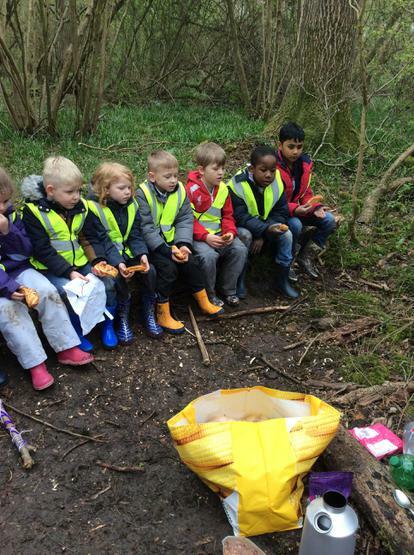 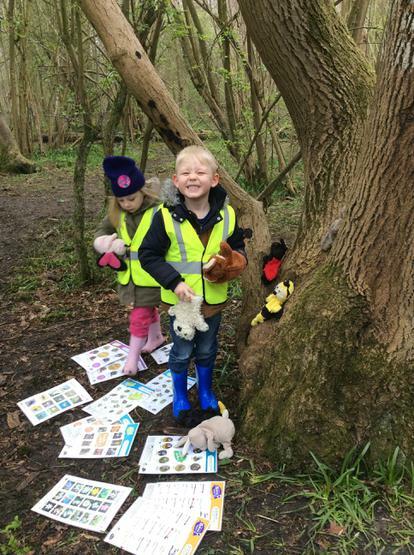 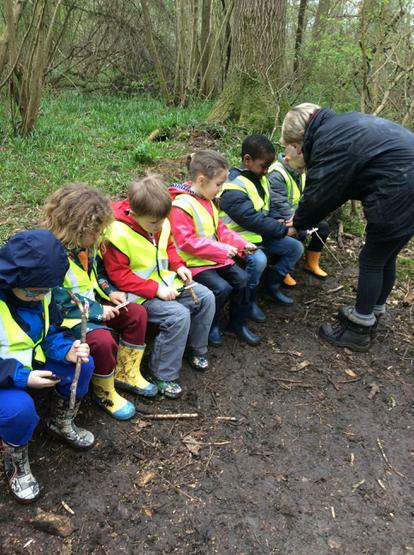 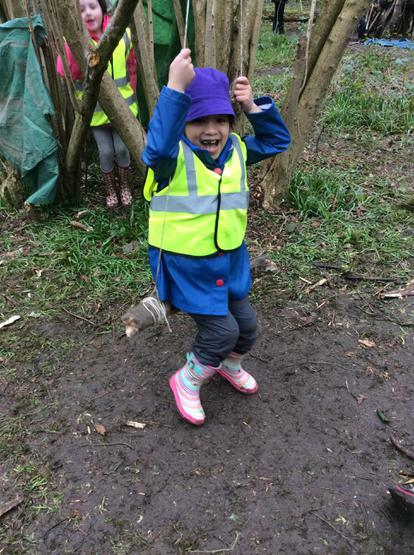 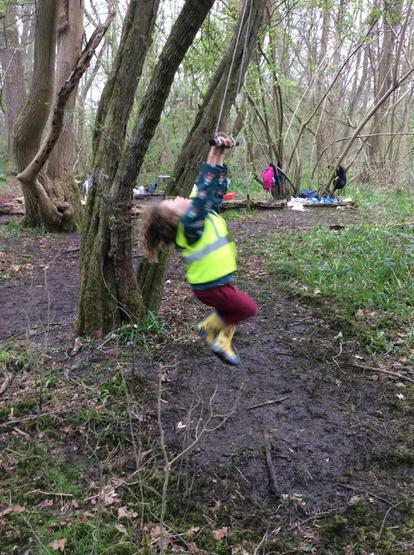 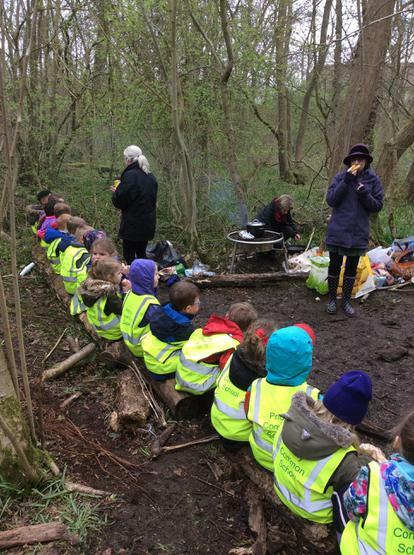 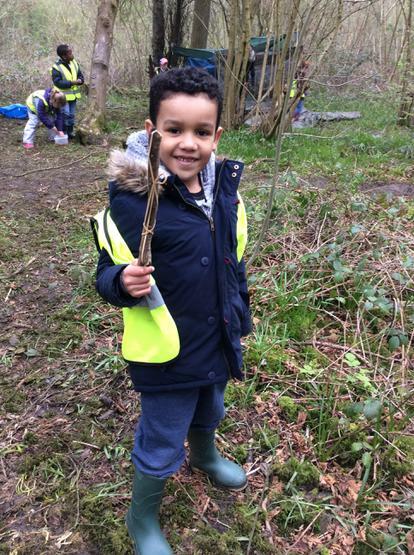 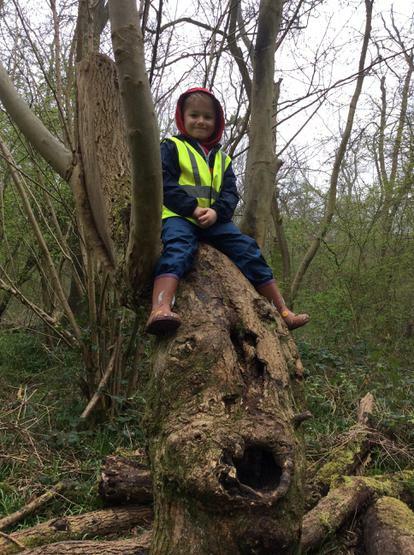 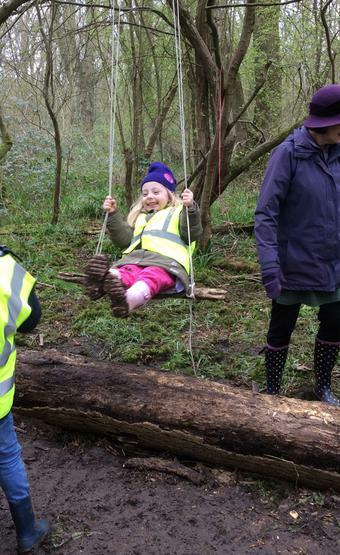 On Monday 27th March we walked to Stanton Woods on our Forest Schools trip. 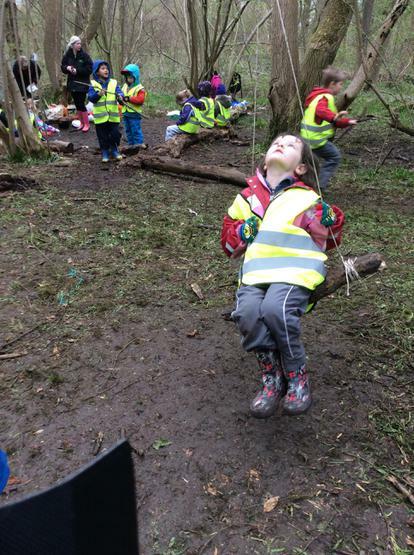 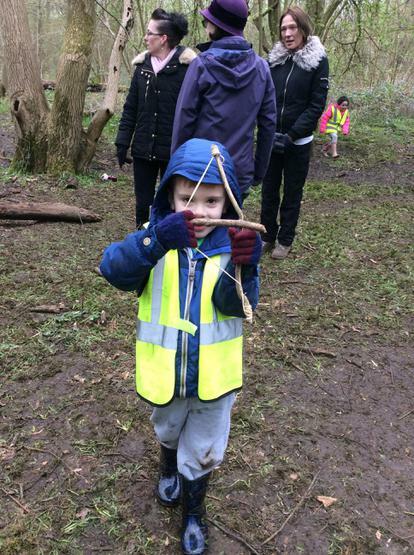 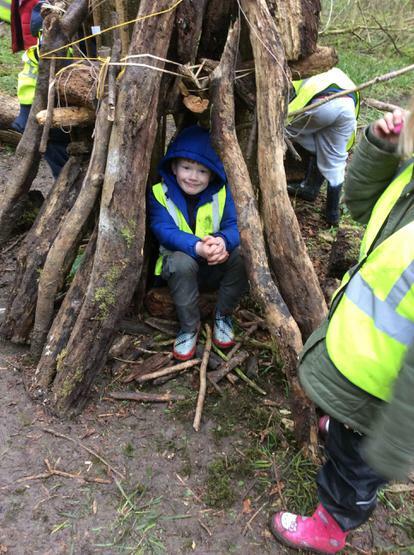 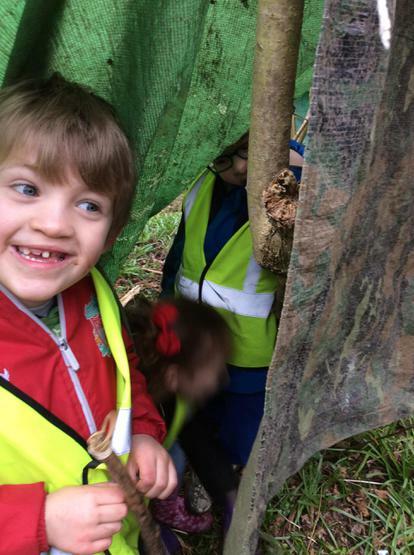 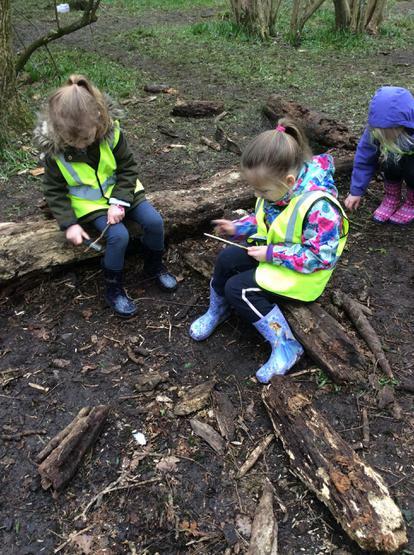 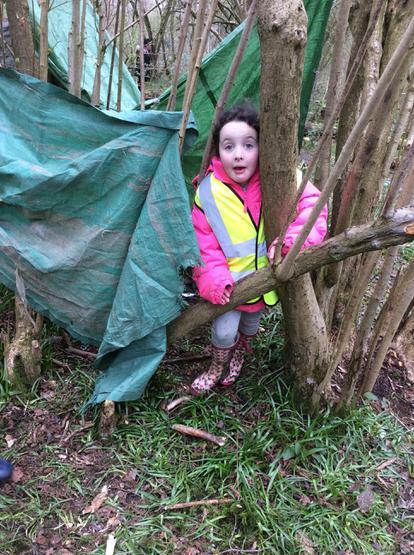 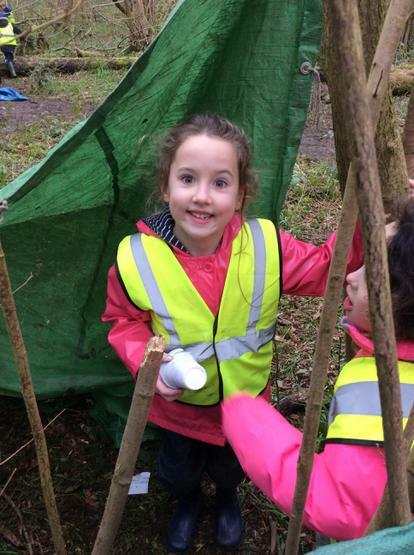 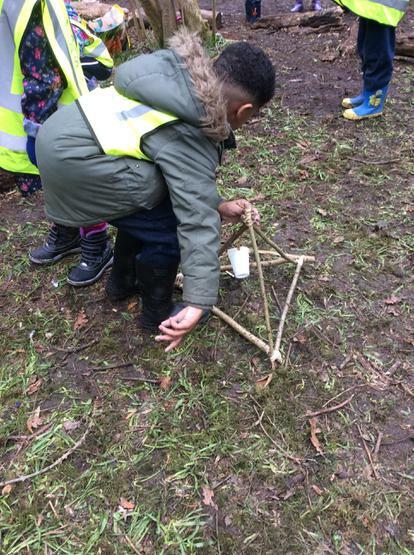 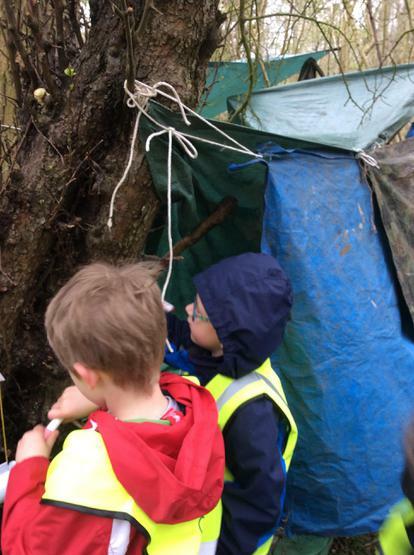 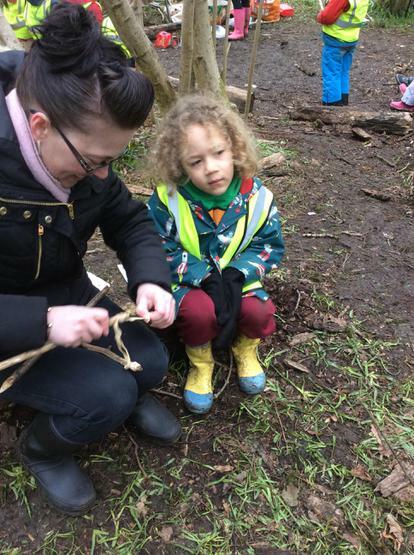 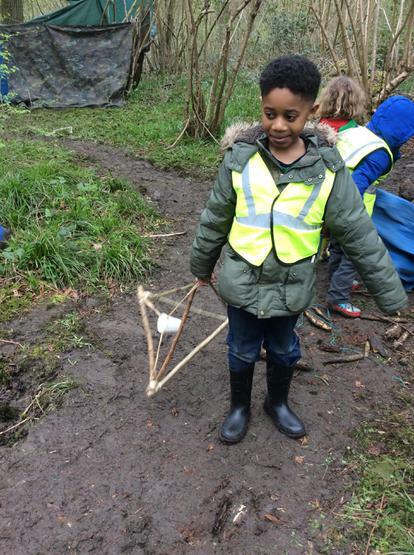 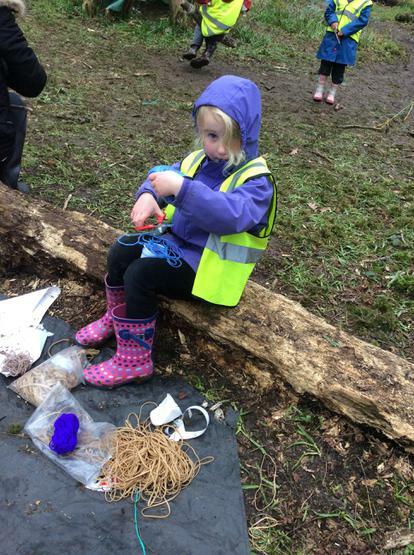 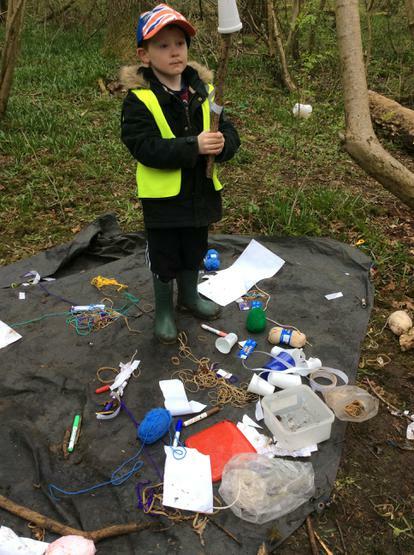 We got to make lots of things including swings, dens, catapaults and bow and arrows. 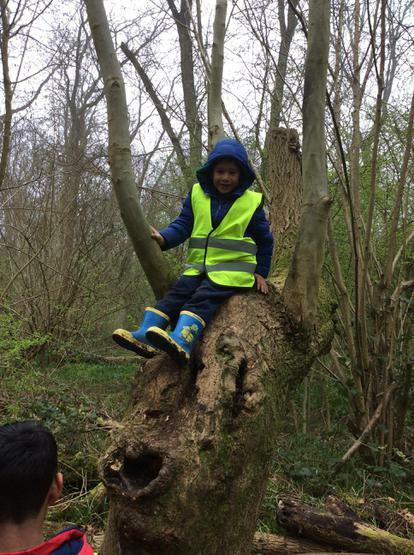 We also got to climb trees. 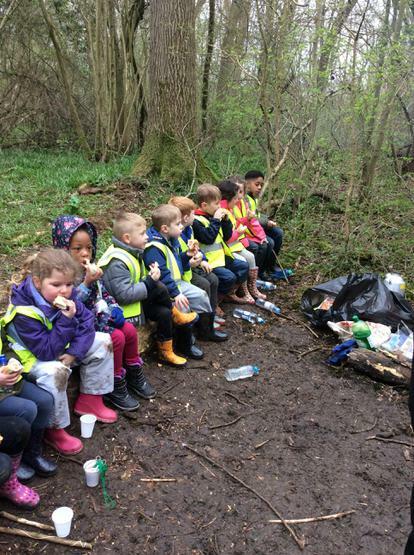 We had our snack and lunch in the forest that had been cooked over the fire.